The Taurus Mini offers high performance with RAID 0 as well as secure data protection with RAID 1, a versatile interface for high speed data transfers and a built-in LCD display for the configuration of the device as well as the display of event messages. The 2.5? 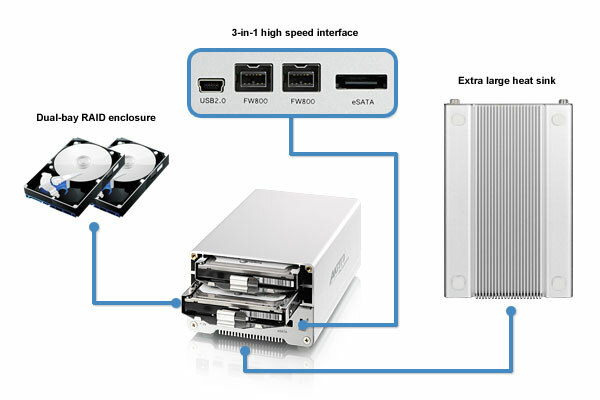 SATA hard drives can be replaced easily due to the removable tray system and the drives are kept cool by the extra large heat sink. The Taurus Mini comes equipped with a built-in LCD display for easy device configuration, event messages and access to detailed information about the external hard drives. 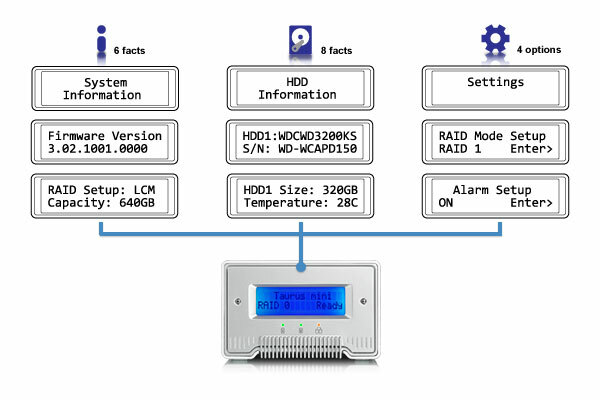 Critical parameters such as HDD temperature can be monitored easily with the help of the LCD display. It utilizes Self-Monitoring, Analysis and Reporting Technology also known as S.M.A.R.T. to obtain data directly from the HDD. 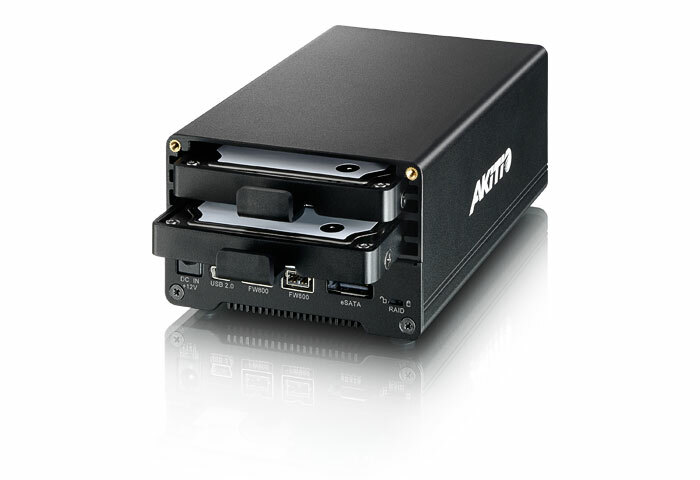 The Taurus Mini comes with an extremely versatile interface, featuring eSATA, FireWire 800 and USB 2.0 High Speed. To increase performance and data throughput, "RAID 0 - Striping" offers the ideal choice for your daily backup and other data transfers. For important data and reliability, you can't beat the "RAID 1 - Mirroring" function, which will automatically create a copy of all the data in case one of the drives fails. Mac OS 10.4 and above).